If you are tired of renting and have always wanted a home of your own, now is an excellent time to take the home ownership plunge. Attractive mortgage interest rates, government incentive programs and an excellent supply of homes for sale are making the dream of home ownership possible for more would-be buyers. You may want to take advantage of the RRSP Home Buyers’ Plan. The program allows you to use your Registered Retirement Savings Plan (RRSP) contributions (up to $20,000 per person, $40,000 per couple) to buy or build a home. You must be a first-time buyer or at least not have owned a principal residence for four consecutive years in order to qualify under the plan. Remember, no income tax is deducted from these funds as long as they are repaid to an RRSP according to the government’s repayment schedule. A number of different mortgage options are available. Under a conventional mortgage, lenders will loan you up to 75 per cent of the appraised value or purchase price of the property (whichever is lower) to a maximum set by government regulation and you must come up with the remaining 25 per cent yourself. If you don’t have the 25 per cent down payment, a high-ratio mortgage may be available that could provide most of the required funds. The proviso is that high-ratio mortgages must be insured and the cost falls to you. Check with your lending institution or mortgage broker to see whether you would be eligible for such a mortgage. Variable-rate mortgages are usually offered for both conventional and high-ratio mortgages. If interest rates climb, you will be paying more per month in interest; if rates drop, you will be paying more off your principal. Fixed-rate mortgages, on the other hand, maintain the same rate of interest over the entire negotiated term. It is never too early to start considering where you would like to live and the type of house that best suits your needs. 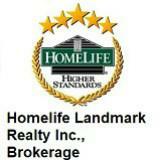 This is where a our services as a REALTOR®’s prove invaluable. I have access to the Multiple Listing Service® (MLS®) which is a co-operative listing system that offers maximum exposure of homes listed for sale. I can help you zero in on the type of home you want with a quick search on the computer. Once you have defined a few key parameters like price, location and number of bathrooms, and can provide you with a customized list to assist you in your search. Defining your focus is important because there are plenty of housing options available in the Greater Victoria area. You will have to choose the property that is right for you from among new houses, resale homes, townhouses and condominiums. A REALTOR® is a highly trained professional who can help you choose the one that best suits your current and projected lifestyle. A REALTOR® will accompany you as you view homes and provide you with all the pertinent information to make an informed decision. So, if you are ready for home ownership, now is a good time. Many Canadians would agree that owning a home is one of the best investments you can make and helps provide financial security for retirement. Why use your hard-earned cash to pay the landlord's mortgage when you could be using the rent money to buy a home of your own? That's a question many people ask themselves when they start thinking about moving out of the rental market to home ownership. It's a big step. For most people, taking out a mortgage is the biggest financial commitment they will ever make. But buying your own home has always made sound financial sense. Here are some facts to think over when considering home ownership as opposed to renting. •If you are 35 now and just buying your first home, you will likely be mortgage-free when you are 60 and sitting comfortably on a considerable asset. •It's highly likely your investment will appreciate considerably in 25 years. Think of home buying as a sound, long-term investment. •Buying a home is a very effective way of saving regularly over many years. Even if you never buy into another retirement or investment plan, you are effectively putting money away for the future. •Owning a home of your own means you and your family can set down roots, get to know your community and involve yourselves in it. •Discover the pride of home ownership. You can fix the place to suit your particular needs. You can also have pets in your home. •As your family grows and moves on to homes of their own, you will have the option of earning extra income by renting out spare rooms or floors, if local bylaws allow. •If you are planning to borrow money from a bank or other financial institution, owning your own home is a definite plus when it comes time to negotiate. •You may not need as much money as you think to get into the home market. 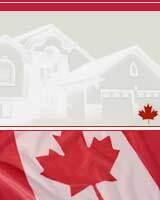 Qualified buyers can buy a house with as little as five per cent down through the Canada Mortgage and Housing Corporation's (CMHC) mortgage insurance scheme. You may also be able to use RRSP funds as part of your down payment. •With many kinds of investments, you have to pay a capital gains tax on profit you make. If your home is your principal residence, this tax does not apply.